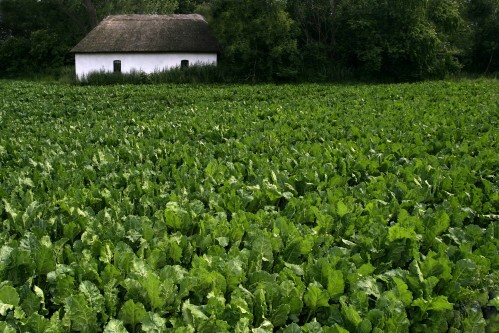 Beets have always played a huge part in Denmark; it’s one of two major crops (the other is potatoes) and it’s also harvested for sugar (there’s even a museum dedicated to it). There’s a 99% chance that if you are invited to lunch, nedlagte rødbeder or pickled beets, will be on the table for your smørrebrød (open faced sandwich). This has always terrified me. Actually, most Danish food has terrified me (Liver Paste/Leverpostej?) ! And so despite having sat at countless tables with beets upon them, I just couldn’t ever bring myself to eat them. No matter how much “oohing” and “ahhing” my mum made over their taste. However, recently my doctor suggested to me that I should juice some carrots, celery and yes, beets together to help with some health concerns. I’d heard of this tonic before (it’s been suggested as a great hangover drink) and how it helps the liver function. I’ve been an avid juicer but only with things green. I wasn’t sure I could add beets. Into my juicer went one large beet, three carrots, one lemon, half a stack of celery, a bit of ginger and a cucumber for good measure. I wasn’t sure I could drink it but in the name of health I did. And then I did some more. And some more. I couldn’t believe how sweet it was – I had fallen in love with… beets! I don’t know if I’m into pickling or roasting yet (one step at a time) but juicing them has been tasty and easy. I’m not sure about all the health benefits yet but thankfully I’m now loving beets for their taste instead of doing it out of healing obligation. If you don’t have a juicer, Columbia Gorge makes a great Carrot, Beet & Celery juice. Chowhound has some great ideas for cooking beets. Gluten Free Girl talks about how she went from not liking beets to also falling in-love with them. Alex, I can not recommend roasted beets enough. Best to get some nice wee ones from the farmer’s market and simply crank your oven (say 400ish? ), wash and trim the beets (cut off tops and bottom nubbin) then wrap in a little tin foil purse with a crack of pepper and a pinch of sea salt. Roast until they start to smell divine (depending on the size of beet this is 25 mins to 40 mins), remove from the oven, let cool and then you can slip the peels off with your fingers. These are truly divine in a salad, I put them in a (tuna-less) nicose salad that I make in the summer and they’re just too yummy. I usually roast a bunch more than a need and keep them in their little foil purses in the fridge to pull out and add to summer salads all season long. You will love them. I promise as much. I enjoyed your post about the Danish food. My parents in law are Dutchies who emigrated to Denmark a few years ago. Altough they are not to fond about the Danish eating habits they embraced Leverpostej, grillpolser and grovhakket. I can’t stand those. My sister in low really loves them; every time she visits her parents she brings loads of grovhakket to Holland and takes Dutch bread to Denmark because my in-laws don’t like the Rugbrød in Danmark. I enjoy the sandwiches with fish and Rødgrød med fløde. But I would prefer other more southern European cuisines. How about grated red beets? Mixed together with grated carrots and whatever is on hand, e.g. radish, apple… spiced up with cress and/or some sprouts, may be mixed with arugula. Add good olive oil, salt and pepper. Or a bit of your favorite dressing. I love it and have it quite frequently as a “go to work” lunch. I actually loved eating pickled beets as a child. We traveled often. Seeing beets on the salad bar always made me comfortable and happy. I agree with Emira’s method for roasting them. I may add a drizzle of olive oil over the beets before they bake. You can also roast the carrots. Which get lovely and caremlized. Terrific tossed with some fresh mint, salt and pepper. A nice borscht is another way to prepare beets. I love the pink color on the spoon. Coming from a Polish family, I’ve grown up with beets on the table for every major holiday. Either served cold with a bit of vinegar and seasoning or in beet soup. There’s something indescribable about the tasted that I really love. As an avid beet-lover, I find myself in the minority wherever I go. For a beet-palate pleasing lunch, try them sliced, stacked alternately with goat cheese and then roasted. Wow! oh, Love the beets. Red, white, and anything else found.